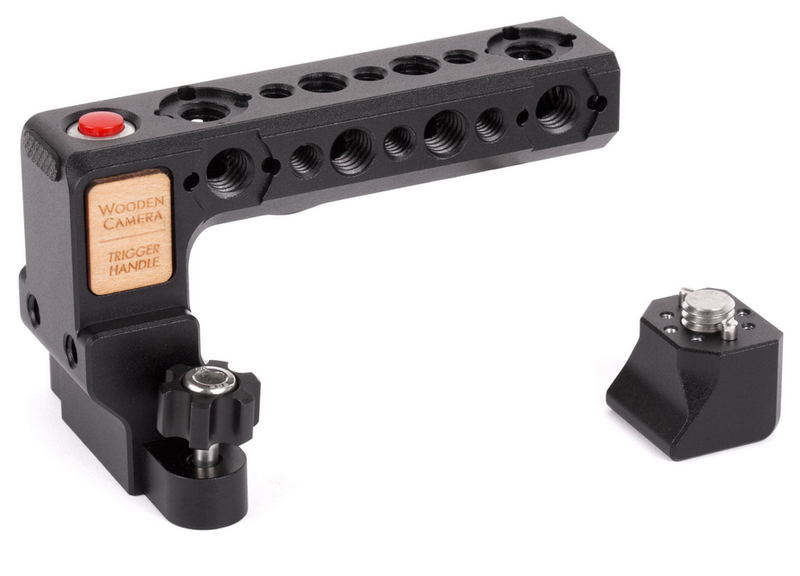 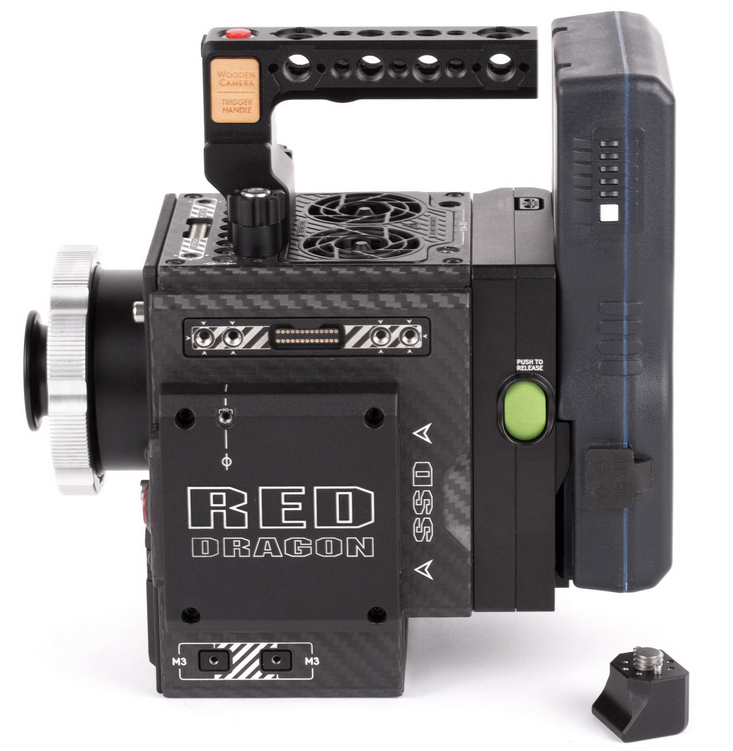 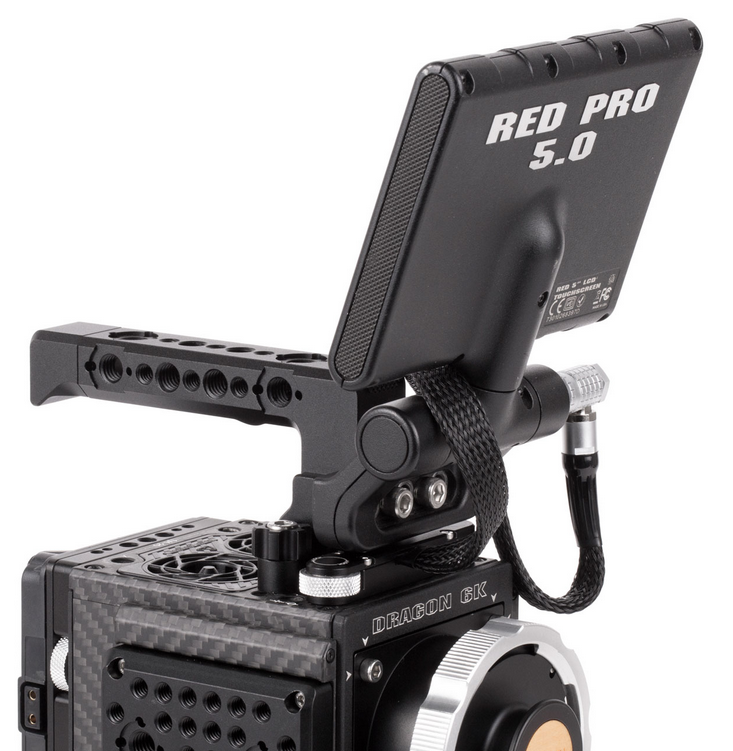 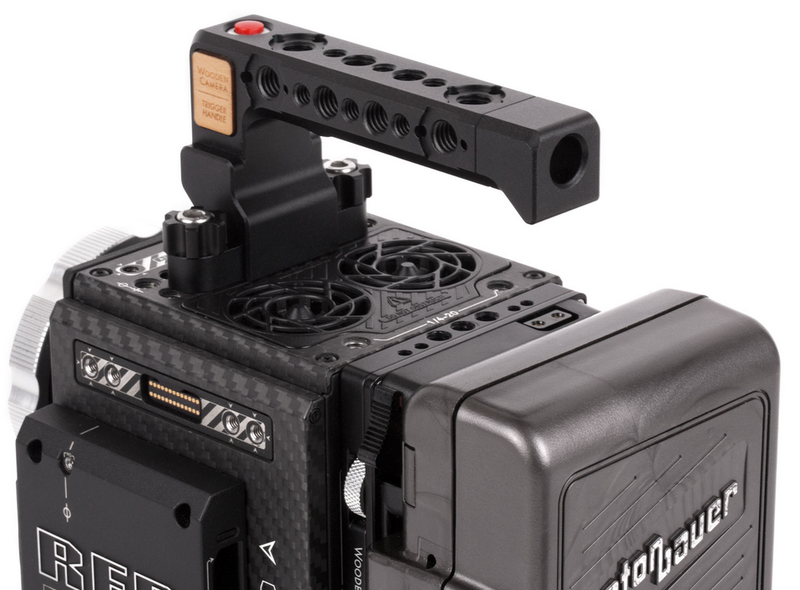 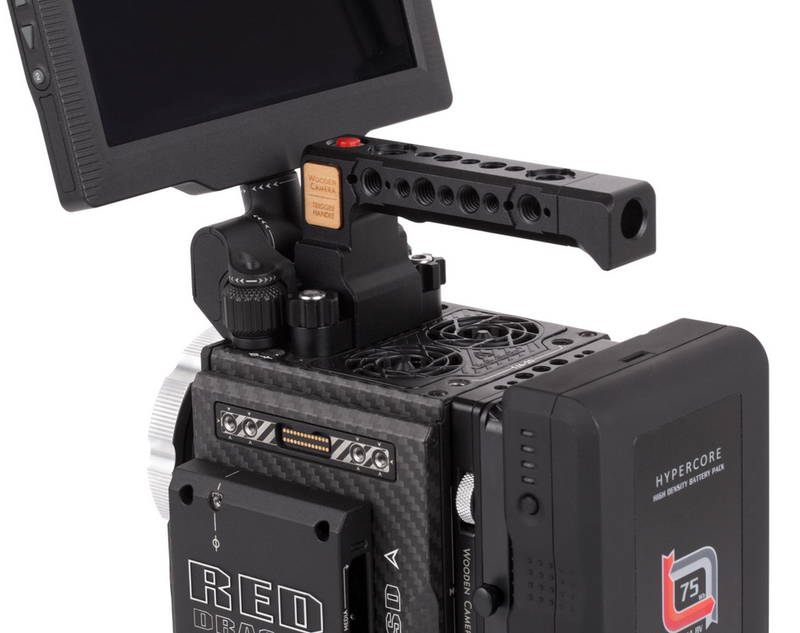 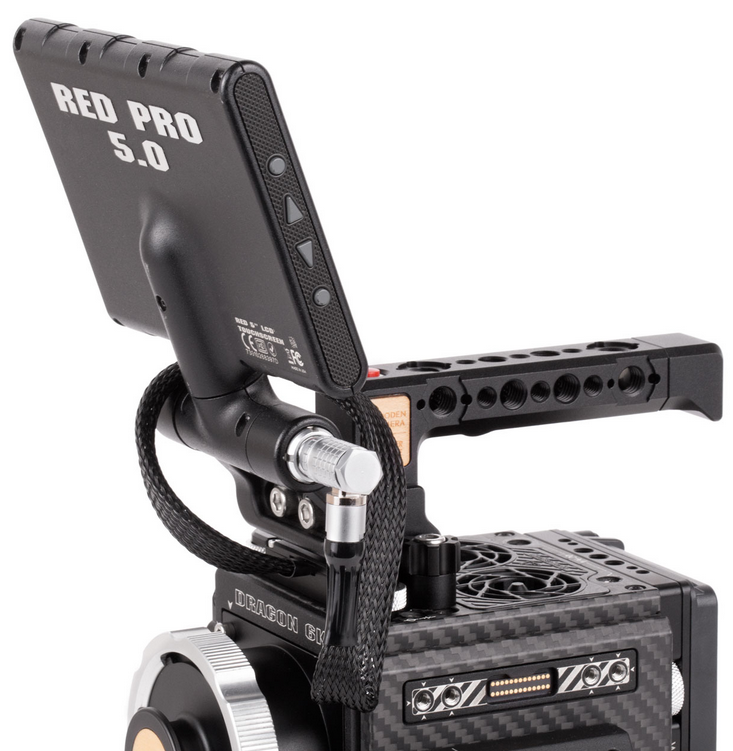 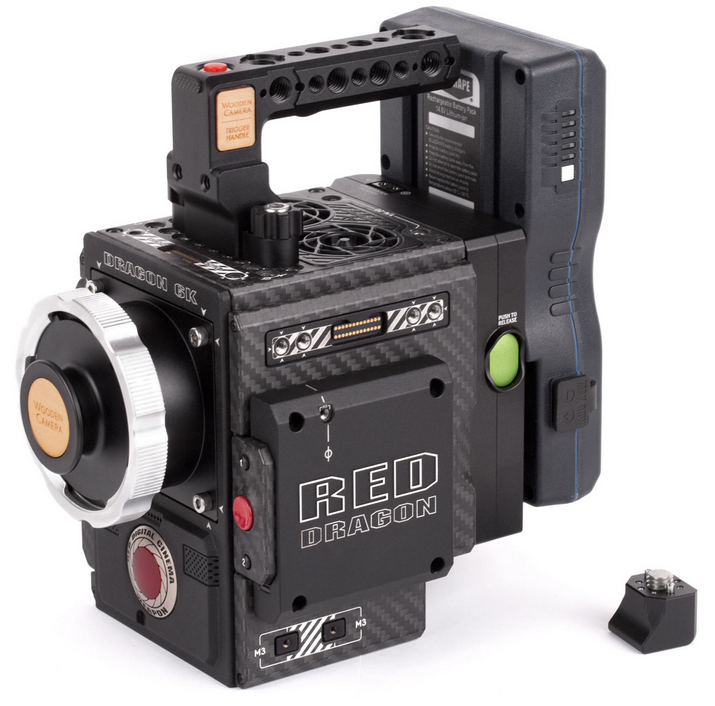 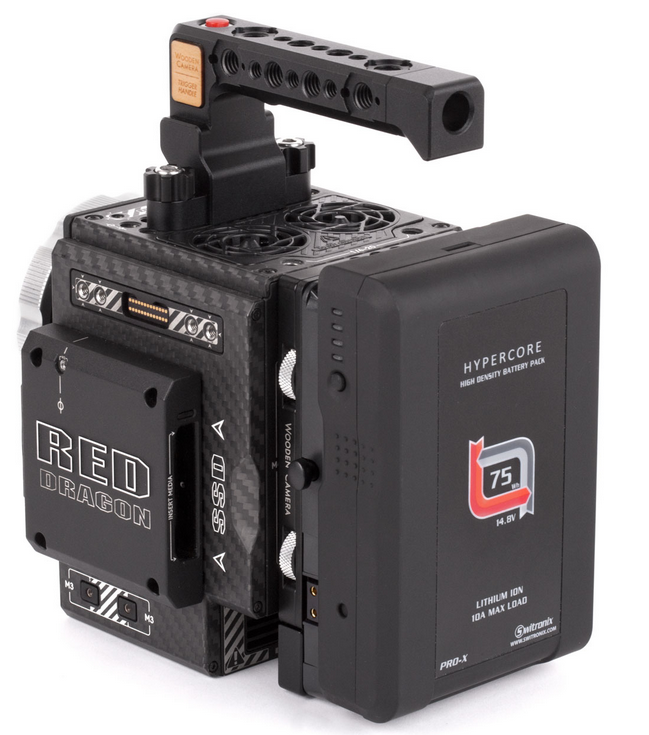 Produktinformationen "Wooden Camera Trigger Handle (RED Weapon / Scarlet-W / Raven)"
Trigger Handle for RED Weapon, Scarlet Weapon, Raven cameras attaches without tools directly to the top of the camera brain or to the Easy Top (Weapon/Scarlet-W/Raven) to trigger the camera through the pogo interface. 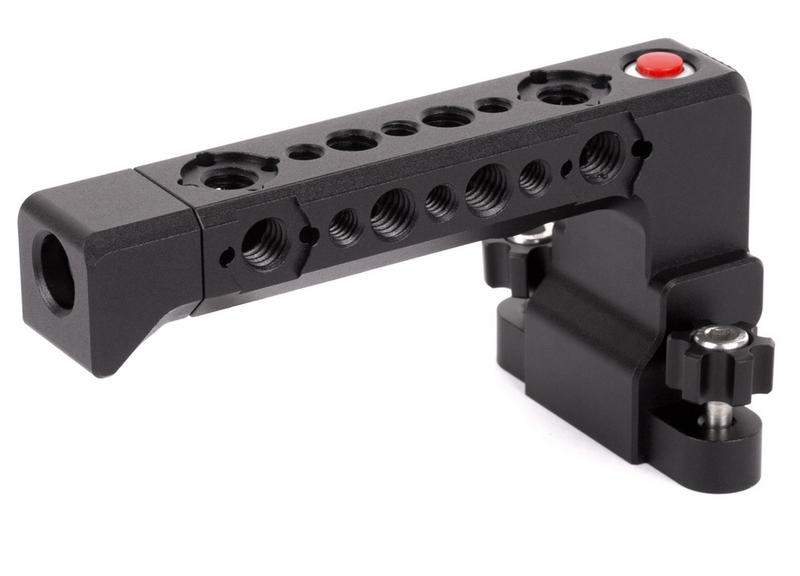 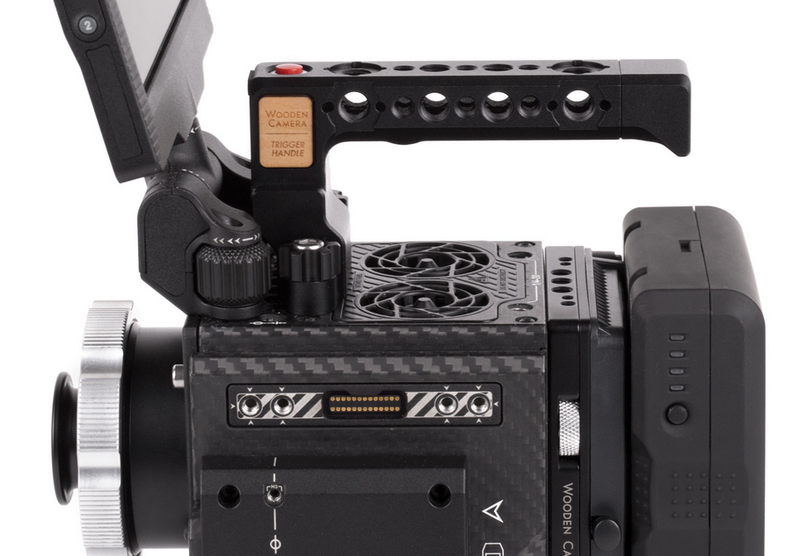 Arrays of 1/4-20 holes in Red spacing, 3/8-16 holes for large accessories, and the ARRI standard accessory mount in several places. 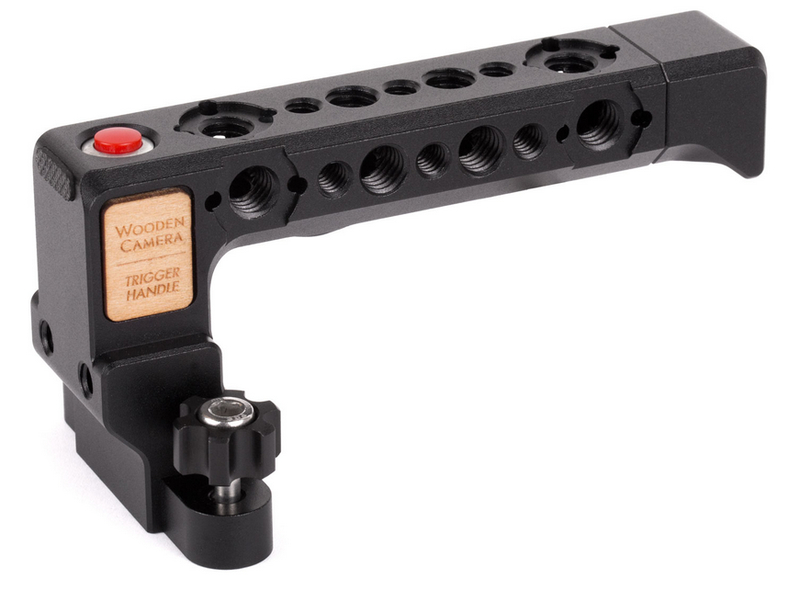 Attaches to top of camera by (2) 1/4-20 captured thumbscrews. 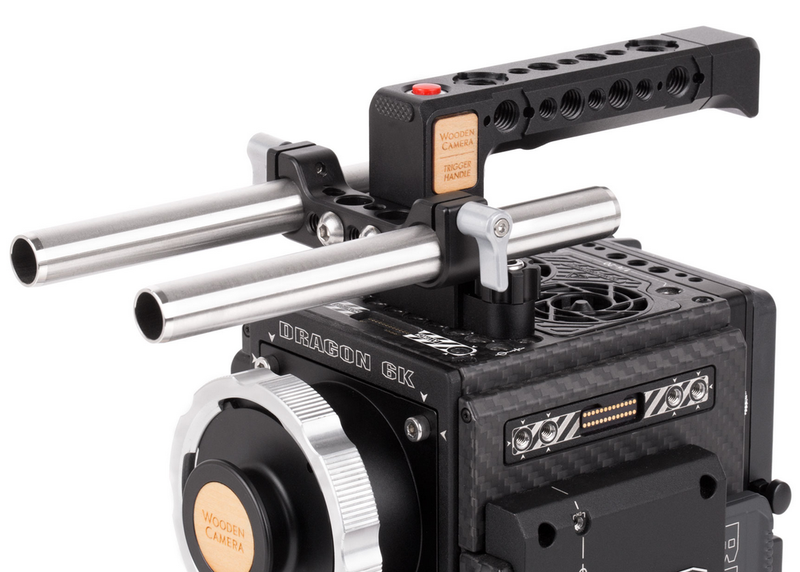 Additionally, Rod Clamps can be attached to the front for a pass through top rod system. 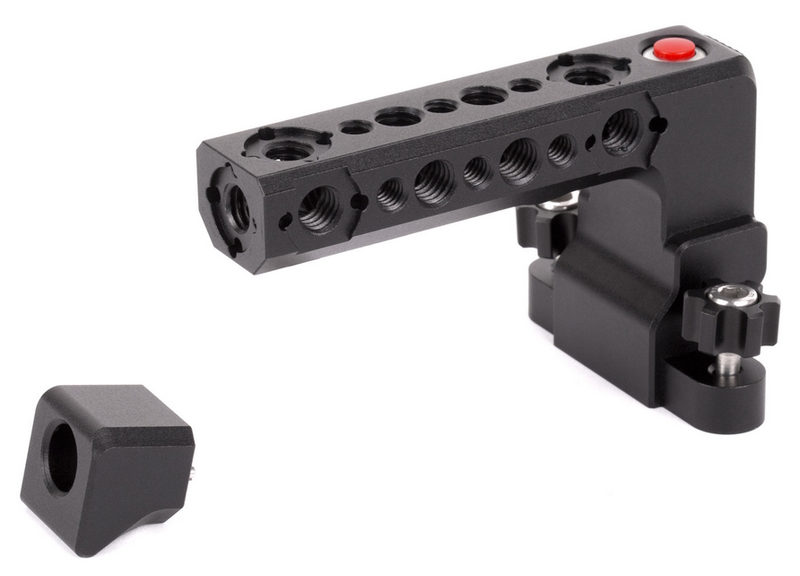 Weiterführende Links zu "Wooden Camera Trigger Handle (RED Weapon / Scarlet-W / Raven)"
1.486,31 € * mit MwSt.